Preheat the oven to 425°F. Spray a muffin pan with non-stick cooking spray or use paper liners. Whisk in a large bowl, buttermilk, egg, canola oil, brown sugar, orange zest and vanilla until well combined. In another medium bowl, mix together the bran, flour, baking powder, baking soda, salt, cinnamon, nutmeg and allspice. Stir the dry ingredients gently into the wet ingredients and only mix until combined. Toss the blueberries with a tablespoon of wheat flour to cover them completely and then fold the berries gently into the wet mixture. Do not over mix. Fill muffin cups about ¾ full, and sprinkle each with a ½ teaspoon raw sugar, then bake for 16-18 minutes or until done. Take out the muffins and if desired, put a ½ teaspoon honey on the top of each muffin to soak in while staying in the pan for 10 minutes before removing. 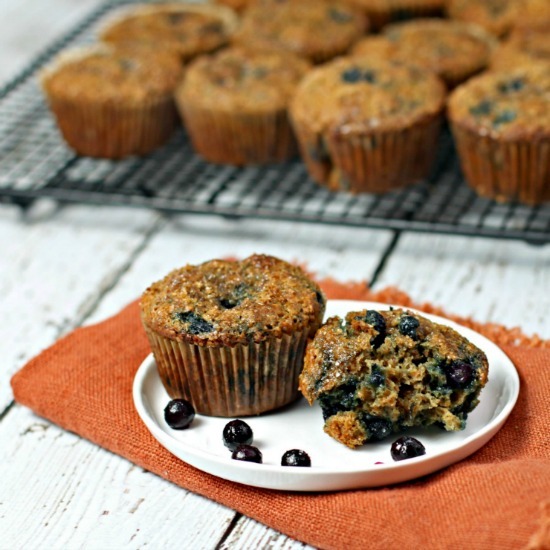 Good for U Blueberry Orange Muffins are quick, healthy, hearty and oozing with bursting blueberries and zesty orange flavor. 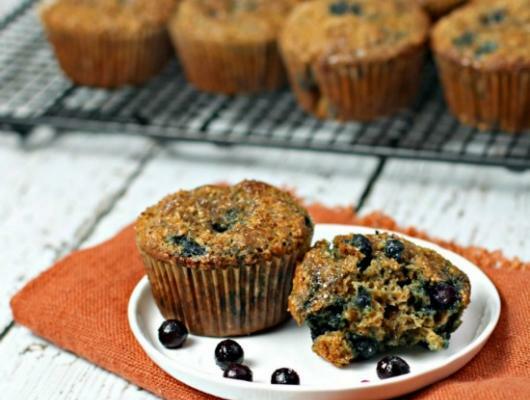 What more could you want from a morning muffin?